When luxury auto marque Bentley released a short documentary highlighting the new Mulsanne sedan earlier this week, it chose to shoot and edit the entire sequence on Apple's iPhone 5s and iPad Air —with a little help from third-party gear. AppleInsider has the details of what equipment Bentley used to create the visually stunning piece. Screenshot from Bentley's "Intelligent Details" spot showing the Mulsanne's integrated rear seat iPad holders. Apple has demonstrated the capabilities of its iOS product lineup in ads and promotional material, but perhaps more impactful are instances when parties not affiliated with the Cupertino company choose to use —and by extension advertise —those same devices. For example, The Tonight Show featured a Billy Joel-Jimmy Fallon duet powered by Apogee's audio interface for iOS. With deep pockets and a top-tier U.S. ad agency in Minneapolis-based Solve, Bentley could have brought together a big-budget film crew with expensive camera gear to create its latest marketing blitz. Instead, the Volkswagen-owned firm went in a decidedly different direction by creating "Intelligent Details" with three iPhone 5s handsets, iPad Airs and some choice kit. Speaking to AppleInsider, Bentley's head of communications Graeme Russell said the idea to use Apple devices as the production's backbone hatched during a brainstorming session about how best to highlight the Bentley Mulsanne's technology package. The factory option includes a Wi-Fi hotspot and twin electrically-deployed picnic tables with bespoke configurable iPad holders and dedicated space for Apple's wireless keyboard (iPad and keyboard sold separately), along with high-end audio components. With the Mulsanne's onboard capabilities, the $300,000 vehicle turned "production equipment" served as a central hub supporting the iPhones and iPads used in the shoot. Austin Reza, Creative Director and owner of Los Angeles, Calif.-based Reza & Co., worked on the project with Bentley and offered some additional details about his unique iOS device kit. Bentley has done other spots with "R&Co." 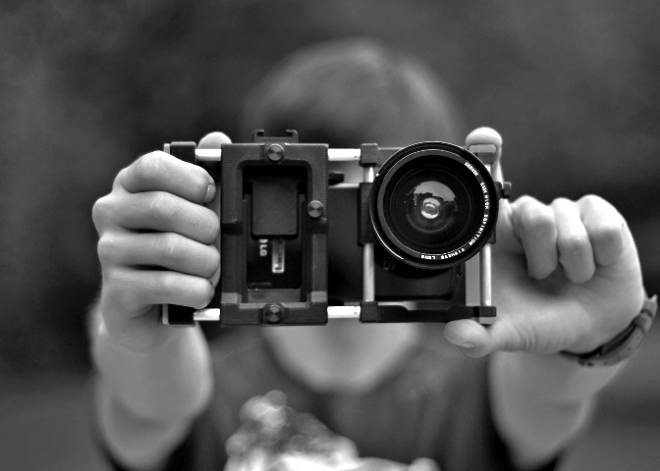 —using RED Cameras and DSLRs —that can be viewed on the firm's website. The BeastGrip universal lens adapter. As for third-party accessories, the first thing camera operators needed was a way to hold and manipulate the iPhone 5s. Two setups used BeastGrip as the mount of choice. Initially a Kickstarter project, the $75 3D printed lens adapter helped with handheld camera work in tight spaces, while a second prototype unit with suction cups captured interior and exterior shots. 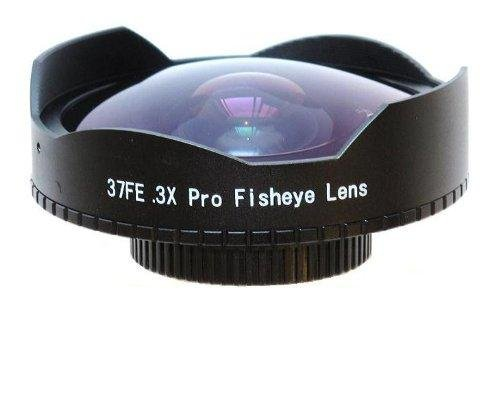 For the BeastGrip rigs, a handful of threaded lenses were used, including the Neewer 0.3X Baby Death 37mm Fisheye Lens, which goes for $37.95 on Amazon. Almost no project is shot these days without a steadicam rig or camera stabilizer of some kind. Here, Freefly's $5,000 MoVI M5 three-axis gyro-stabilized handheld camera system was paired with a modified Schneider iPro Lens. 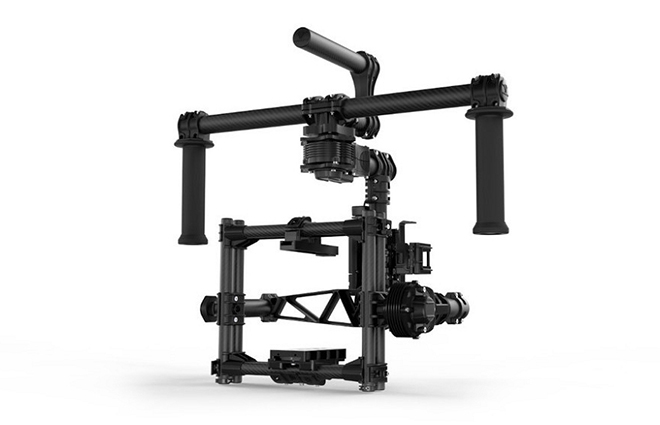 According to Reza, the MoVI M5 proved to be one of the most important tools during the filming process. While Apple's own iMovie was used for fast and dirty edits, the software that really tied it all together for the production team was the $4.99 FiLMiC Pro. The app offers enhanced control over camera output that, in Bentley's case, was shot at 24 frames per second with 50 mbps encoding. Reza said the results exceeded his expectations, especially when the iPhone's FiLMiC Pro footage was translated to black and white. He added that his agency will use these types of versatile setups on future productions and perhaps even larger projects meant for wider distribution. The combination of great optics, versatile iOS software and the iPhone's high-quality imaging sensor was key to producing a highly polished finished product, he said. That it was made in the back seat of a Bentley Mulsanne likely didn't hurt either.